The Acer Swift 3 a solid laptop to look forward to. Acer Swift 3 is now official. It's pegged to be one of the most value-for-money laptops of th year. 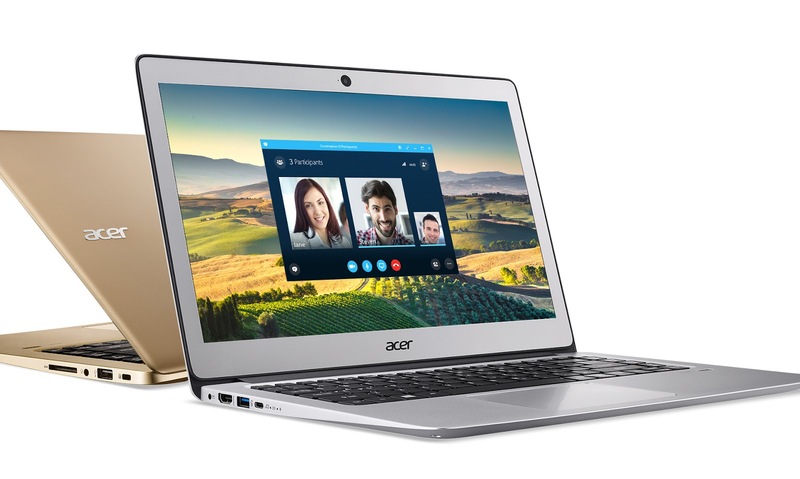 This computing machine has been released earlier this week in a dedicated Acer event with a very slim form factor and a brushed-metal desgin philosophy. The Acer Swift 3 only weighs 3.9 pounds (1.8 Kgs) making it a good portable productivity device. It also ticks with a powerful 7th-generation Intel Core processors that promises great performance. When it comes to the graphics, you'll get the Intel HD or NVIDIA GeForce processors depending on which variant you'll get. Likewise, you'll also have a choice between 14-inch and 15.6-inch full HD Anti-Glare displays, 8GB DDR4 RAM and 1TB HDD or 512GB SSD. With this feature set, the Acer Swift 3 just got the right power to do productivity tasks. There's also the generous inclusion of ports like USB Type C and USB 3.0. Moreover, the Swift 3's keyboard comes with a backlight for easy typing in poorly lighted environment and the trackpad highlights high precision scrolling and panning.